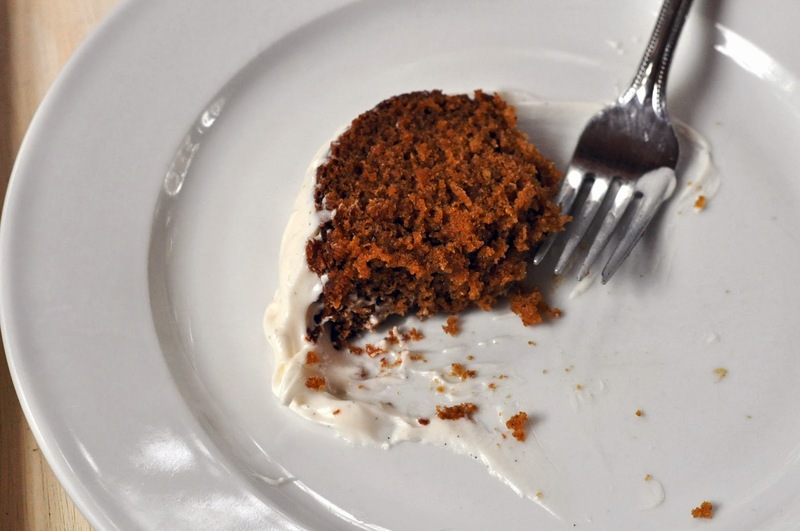 I've blogged this Pumpkin cake before, and referenced it in many posts over the years. It is so incredibly good and by now I've made it my own, so are you ready to hear what's in it? Heaping teaspoonfuls of cinnamon, clove, and allspice. 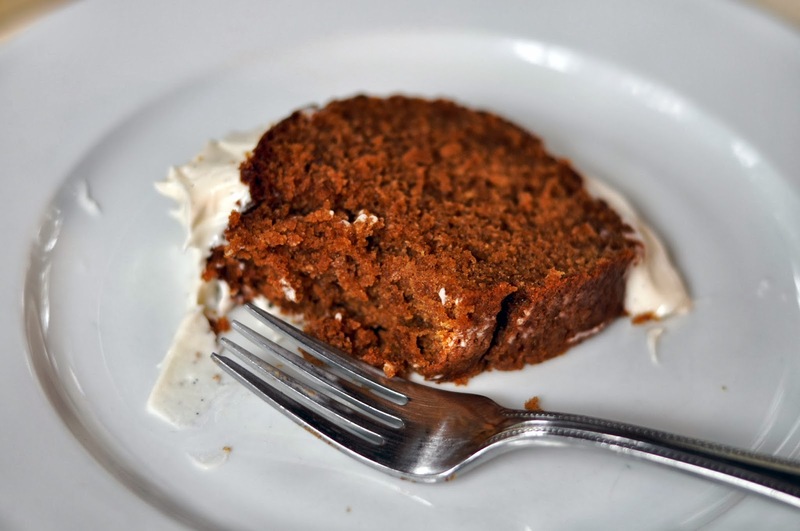 The cake is dense, spicy, and moist. It's full of flavor and not too sweet. 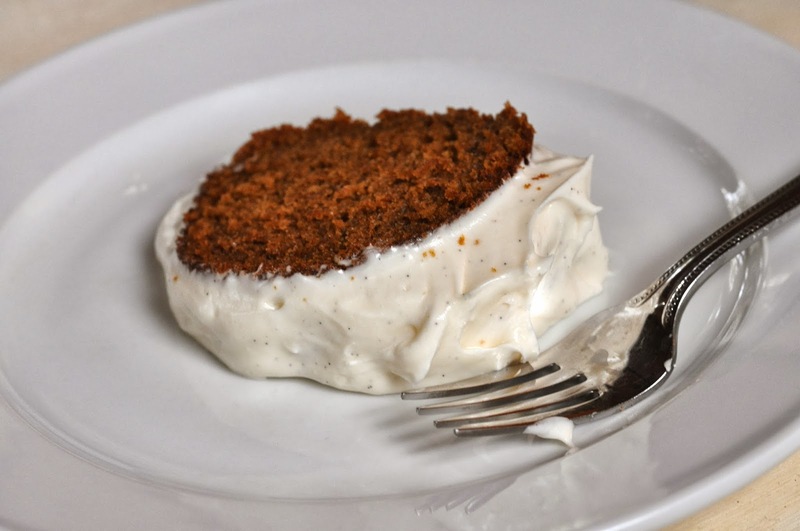 A fluffy vanilla bean cream cheese icing raises the charm and sophistication of this otherwise humble little spice cake. In a stand mixer cream butter and sugar; mix on medium until it starts to form a crumbly mix, then turn up the speed to high for 2 minutes until light and fluffy. Scrape the sides of the mixing bowl. One at a time, beat in each of three eggs. Scrape the sides of the mixing bowl. Add vanilla bean paste, nutmeg, cinnamon, clove, allspice, sea salt, and pumpkin. You can't add too much spice! Mix on medium speed until everything is well combined. Add flour all at once, with the baking soda, and stir on the lowest setting until it begins to form a batter, then increase the speed to high for 5 or 6 seconds. The batter should be well combined, but take care not to over-stir! Bake at 350 for 55 minutes, plus or minus 5 minutes. Check for doneness at 50 minutes and keep a close eye. If a knife inserted into the middle comes out with a few crumbs on it, then it's just right. Let the cake sit for a half hour, and then do your best to plop it out of the pan. If part of the top breaks off you can just nestle the pieces back into their spot and frost over it. While you wait for the cake to cool turn your attention to the icing. 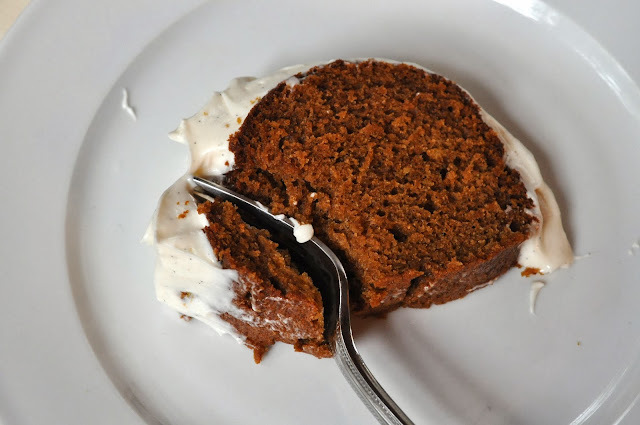 A half-recipe will cover an entire bundt cake with a nice layer of icing, but the amount specified here will give you plenty to pile high on the cake, and enjoy by the spoonful too. Using a whisk attachment beat cream cheese, butter, and vanilla bean paste on medium until they start to come together, then mix on high speed until well combined. Scrape the sides of the mixing bowl. Add powdered sugar on a low speed to avoid a powdery sugar cloud in your kitchen. Once it begins to combine you can whip it on high for a few minutes until the icing is smooth and airy. 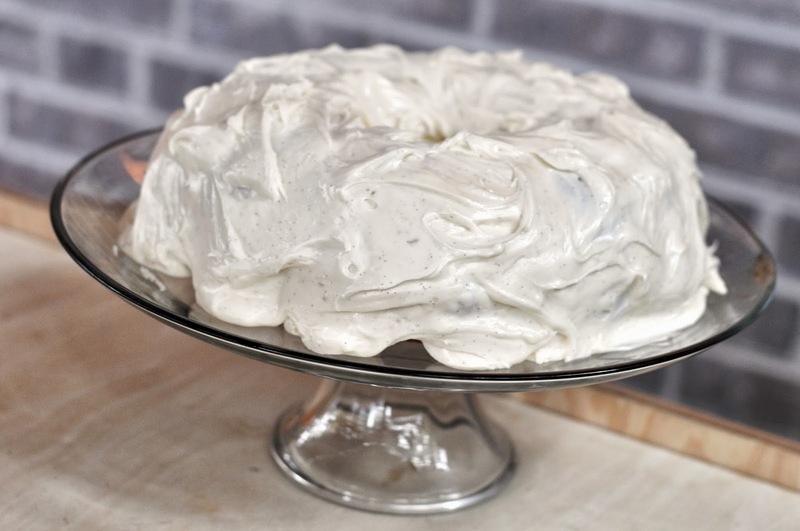 Allow cake to cool completely before icing it, at least a couple hours. To get the hand-frosted look use a butter knife or frosting spatula to spread the icing over the cake to provide full, even coverage. Just move the icing around until you think it looks pretty. I think the cake tastes best after I let it sit for 12-24 hours before cutting into it. This gives the icing a chance to hang with the cake, soak into it a little bit, and develop an eggshell thin crust, which offers a nice texture. These are so cute! I am featuring them on my site tomorrow. Just thought I would let you know! Thanks for posting them!